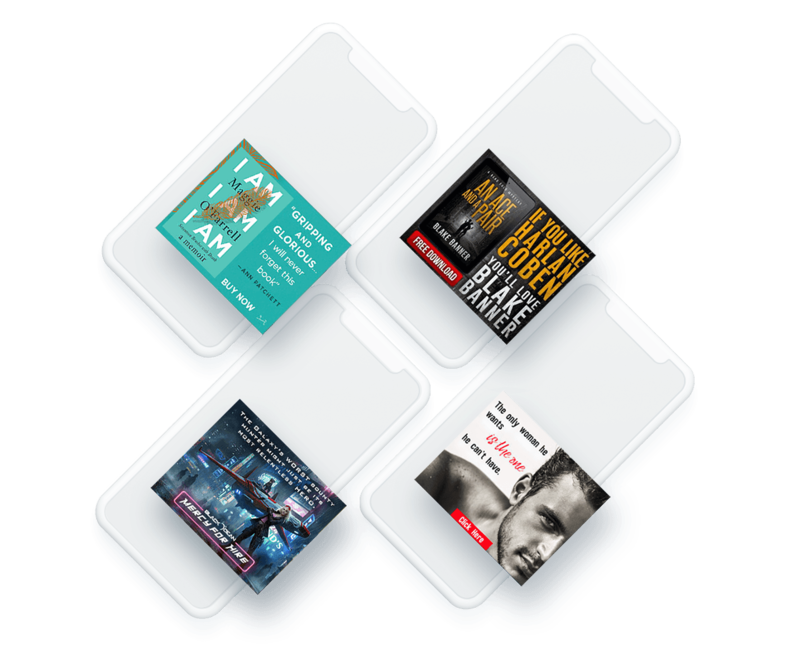 Our self-serve display advertising platform lets you reach BookBub’s audience of power readers to promote any book. With complete control over your targeting, ad design, spend, and timing, you can create a campaign tailored to your specific marketing goals. Unlike other ad platforms, BookBub Ads are guaranteed to reach an audience of engaged readers actively searching for new books. Nuanced targeting options such as retailer preferences or author interests let you reach only the most relevant readers, and you can tailor each ad image to that particular audience’s tastes. Whether you’re promoting a new release during launch week or a first-in-series on an ongoing basis, you can target fans of similar authors to reach new readers. Targeting an author’s fans with BookBub Ads reaches not only their followers, but any readers who have shown an interest in their books on our platform. Check real-time results and manage your ads right from our self-serve portal, which makes it easy to test different ad images, copy, or targeting to ensure your ads are delivering the results you’re looking for. Advertise discounted books, full-price books, new releases, audiobooks, and more. Show your ad to specific readers based on author interest, category interest, retailer preference, and region. Tell us how much you want to spend on this campaign and how much you’re willing to pay for each impression or click on your ad. Your ad will compete against other ads trying to reach the same readers in our emails and on our website. Track impressions, clicks, and more in your Partner Dashboard and adjust your campaign to optimize performance.